Tarpon are a migratory sport fish that travel in large groups and can exceed weights of 200lbs. Long and silvery with large scales, they are know for their drag screaming runs and their high flying acrobatics. Depending on the time of the Spring or Summer, there are a few ways to target them. Live bait such at threadfin herring and live blue crabs work extremely well on the beaches and in the harbor and artificial lures known as jigs are the primary choice when the fish are in Boca Grande pass. 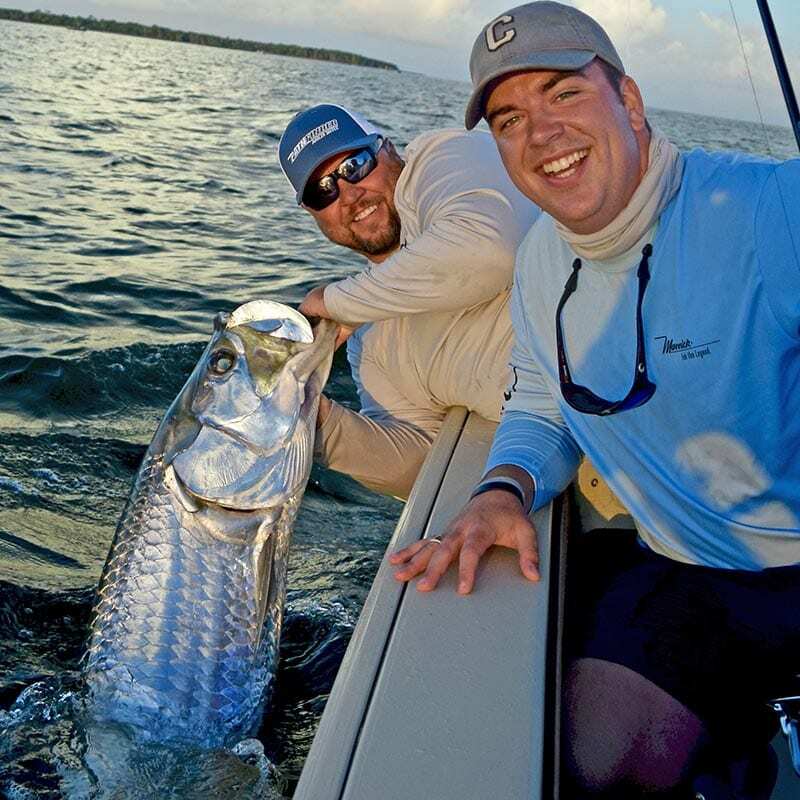 Tarpon fishing is one of the most exciting fishing trips you can take in Florida. From the visual experience of seeing thousands of fish “rolling” on the surface, the initial blistering run right after hookup, and the awe inspiring leaps into the air… you’ll be sure to be back to catch the “Silver King” year after year. In April, tarpon begin to invade Charlotte Harbor. They first begin to arrive to the deep holes and flats in the harbor where we fish for them with live bait or casting artificial lures. At the same time, just to the south of us in Pine Island Sound, tarpon are making their way north for the annual migration towards Boca Grande pass. During the early part of tarpon season here, these tarpon are typically traveling in small pods of 10-25 fish and they average in weight between 80lbs and 100lbs. Once they arrive in world famous Boca Grande pass, they really put the feed bag on and eat because they need to build up strength and stamina for their annual spawn. They arrive in the pass and surrounding waters by the thousands and when they do, we’re there ready for them. It’s game on! With tarpon being a species that Capt. Jay specializes in, the tarpon trips can be filled with lots of excitement. 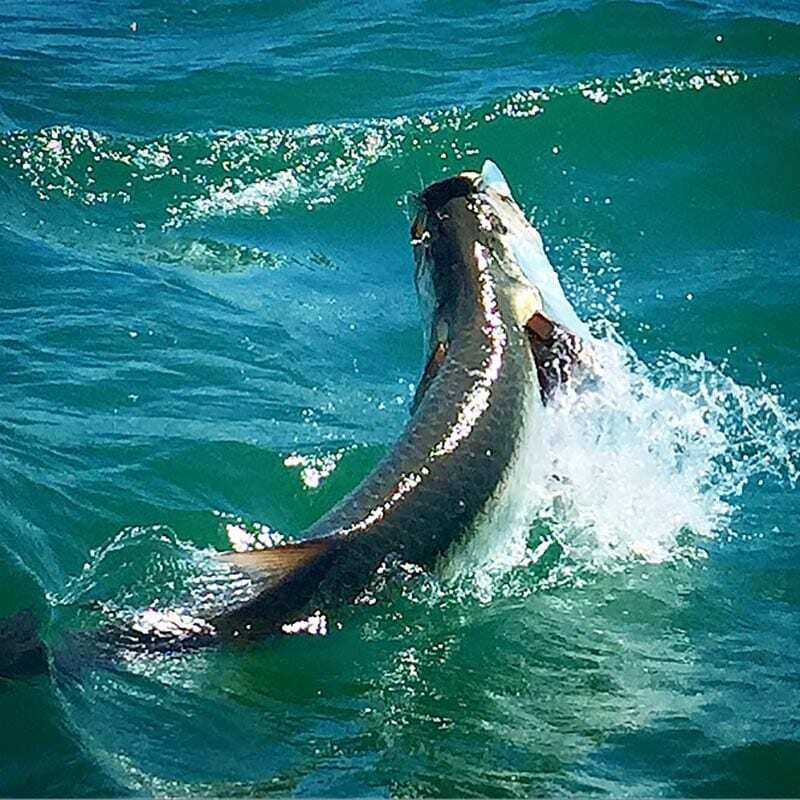 From beach fishing to deep jigging, Boca Grande Pass tarpon fishing is truly your ticket to a trophy! If you are ready to have an exciting experience on the water in Boca Grande and Charlotte harbor?… BOOK NOW! For spin tackle fisherman battling a Tarpon on live or artificial baits is an adrenaline pumping experience. Massive fights, acrobatics, and screaming drags are all part of the experience. If you are looking for a great way to fish for Tarpon, spin tackle equipment is the way to go for both the technical angler, as well as those with less experience. 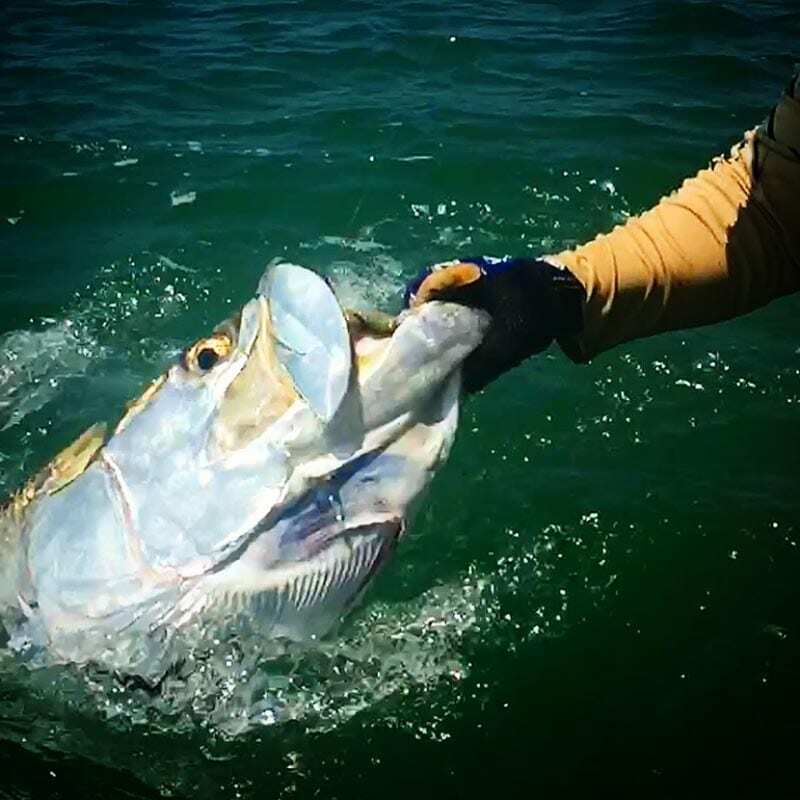 We provide gear that has been specifically put together for battling big Boca Grande Tarpon. For fly fishermen, big Boca Grande Tarpon are a bucket list item known the world over. Whether sight casting the shallows and backcountry for smaller resident Tarpon or rolling out tippet amongst the massive groups during the migration – battling a Tarpon on a fly rod is a truly unique experience. 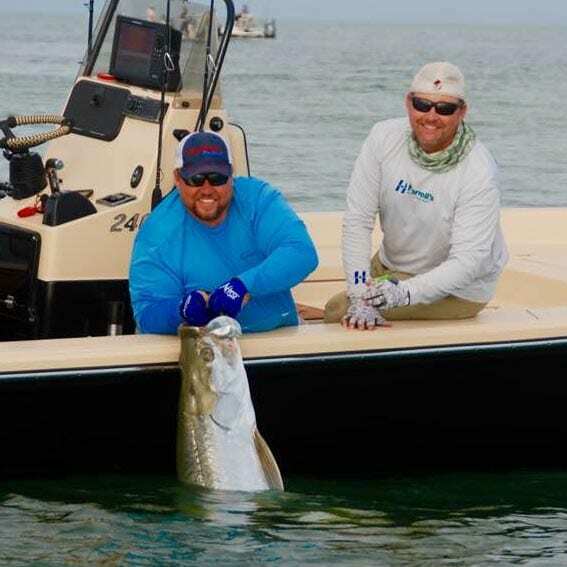 For best bets, make sure you contact the Captain to schedule your fly fishing trip for Tarpon as this is a seasonally based fishing trip offering. 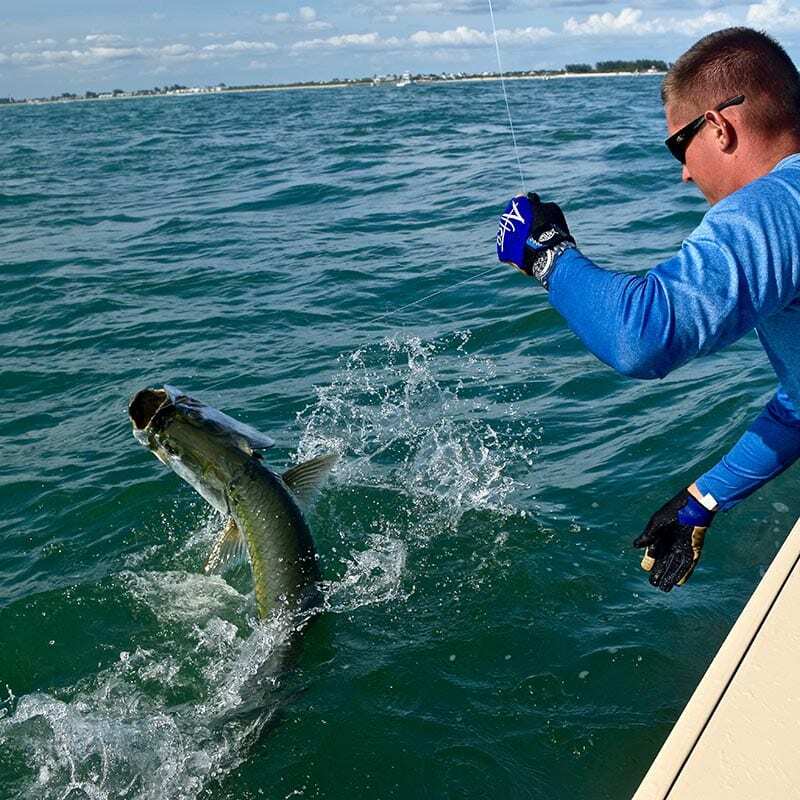 When is the best time to fish for tarpon in Boca Grande? Why is Boca Grande considered the Tarpon Capital of the World? During this yearly migration, Boca Grande is home to the single largest tarpon population on the planet. Where exactly are the tarpon when they reach Boca Grande? The tarpon congregate in the Boca Grande Pass. I hear Boca Grande Pass gets crowded, is there an alternative that is just as good? Yes, Charlotte Harbor (which neighbors Boca Grande) is a great alternative. If you need help deciding, it is best to consult with your captain. How deep is Boca Grande Pass? It has depths of about 70ft. Yes. The main predators for tarpon in Boca Grande Pass are sharks. Most commonly, bull sharks and hammerhead sharks. What kind of bait is good for catching tarpon in Boca Grande Pass? Many different styles of baits will work. Live bait in the form of small crabs and live bait fish are popular, but tarpon will also go after an assortment of artificial baits as well. Fly fisherman also have great success with tarpon here. What days of the week are best for Boca Grande tarpon fishing? For the most enjoyment, weekdays are usually preferred over weekends. This is simply due to the amount of boats on the water – weekends see heavy traffic. 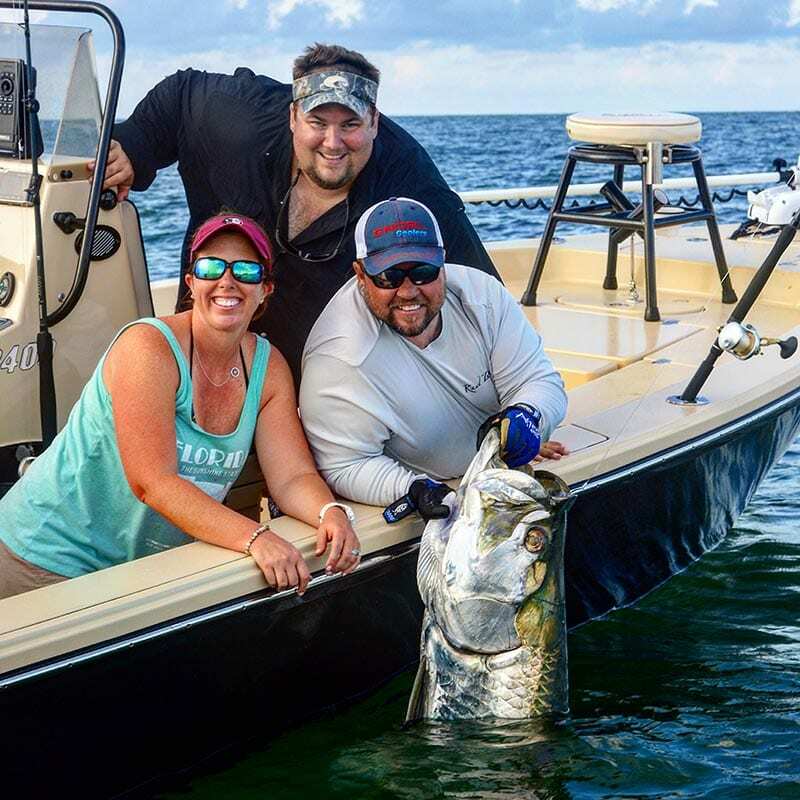 On Sunday’s specifically, the Professional Tarpon Tournament Series is usually fished, combined with weekend recreational tarpon fisherman – this is generally the single most congested day in the pass. Is tarpon fishing safe for a family? Yes. Families take these trips all the time. Though large tarpon may seem like a lot to handle, families (and their members of all ages) have a great time. The captain here at Silver Lining Charters also makes it a safe time. Can we keep the tarpon we catch? No. Tarpon are a protected species in the state of Florida that are catch and release only. The only exception for the harvest or possession of a single tarpon is when in pursuit of an IGFA record and in conjunction with a tarpon tag. Can we take a picture with a tarpon out of the water? Again, the answer is generally no. FWC biologists have deemed that due to their size and weight, when these fish are pulled out of the water that their survival rate is extremely lowered when released. The only exception here, is a temporary lift from the water for a photo is allowed if the tarpon is under 40 inches. All other tarpon (40+ inches) must remain in the water. Boca Grande is a sought-after destination for Tarpon anglers. The city boasts a 125 year old lighthouse, 750,000 acres of estuary, unique photo opportunities and a wealth of Tarpon. This island is a magical getaway along the Emerald Coast. 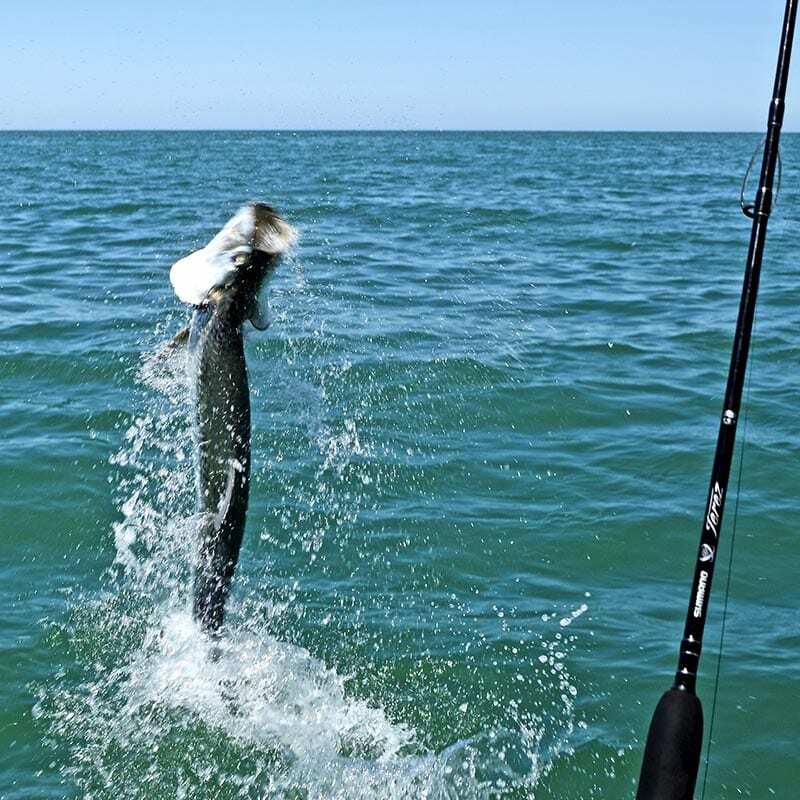 Despite what some may say, the abundance of Tarpon in Boca Grande is confirmed by the existence of the tournament; the waters are rich with Tarpon year round. Moreover, the wealth of Tarpon and social interaction make up for the congestion. 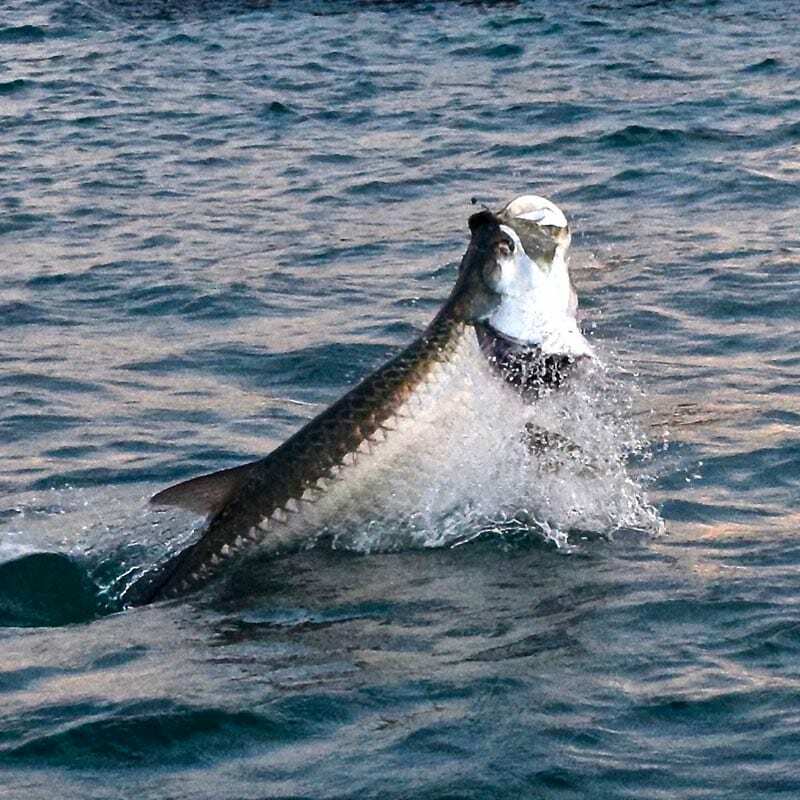 Tarpon are so abundant, they leap from Boca Grande’s waters! However, the early morning and late afternoon make for ease of catching Tarpon. 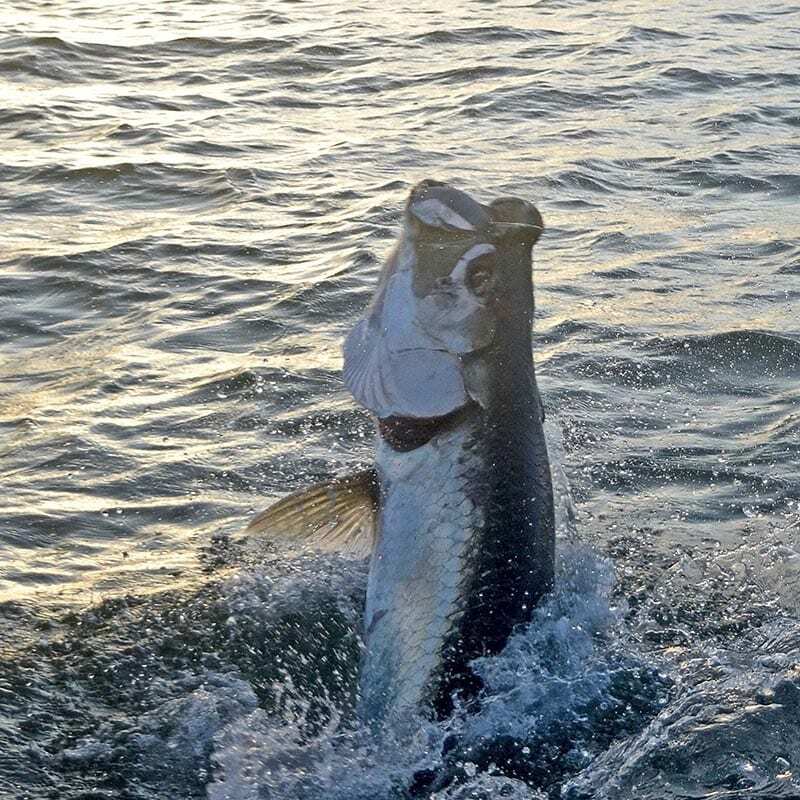 According to Halfhitch.com, “when the sun is high in the sky, the Tarpon can see better and are more likely to get spooked and not bite.” Although the evening is the best time to reel-in a Tarpon, expect fish to steadfastly bite throughout the day. Inshore fishing is a popular activity on the island. Tarpon tend to jump out of the water along Boca Grande’s shoreline. The region’s Tarpon give majestic aerial displays. These fish have been known to break the surface of the water and perform a ballet of somersaults, up to eight feet in the air! Luckily for the Tarpon angler, these fish aren’t picky, they’re reeled-in for both live and dead bait, but some suggest Pogies attract more Tarpon. Artificial baits are also a popular option, even fly fishing for Tarpon is becoming more and more popular. Anglers have also reported catching huge fish, that exceed 8 feet in length.